Coming October 13, 2018. 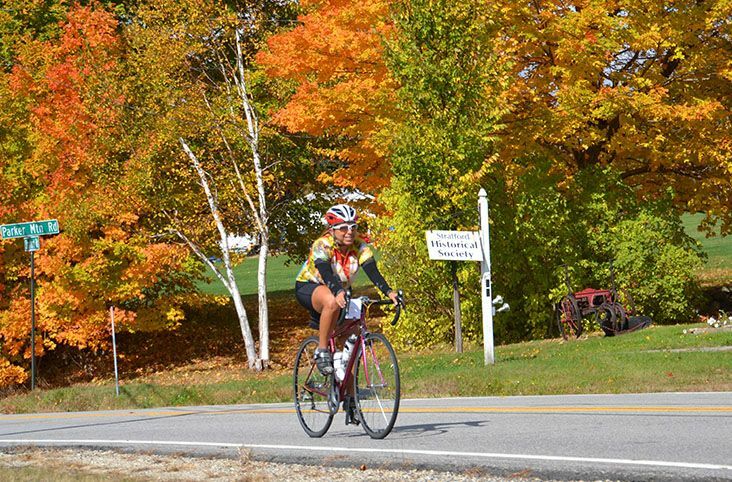 See the best of the New England fall foliage on two wheels! Join America by Bicycle on their annual Fall Foliage Classic tour. Travel through Maine, New Hampshire and Massachusetts for a total of 333 miles over the course of 7 days. With an average of 45 miles per day, this fully supported cycling tour leaves (hee-hee, pun intended!) you time to explore the beautiful fall colors and enjoy area highlights like Strawberry Banke, an original 18th century village; Newburyport, a historic Massachusetts seaport rich in maritime heritage; and many other quaint villages and towns. Accommodations are provided in business class, AAA rated hotels, and breakfasts and dinners are included for all days except Day 0. Revel in the spectacular fall colors with the Fall Foliage Classic tour from America by Bicycle!